AMAZING PROPERTY...complete with beautiful split plan 3/2/2 main home with large screened porch and in ground pool and spa that overlook the beautiful pasture, granite kitchen counters and stainless appliances, newer flooring, ceramic tile, 3 skylights, dual fireplaces in great room and master, large closets and more. 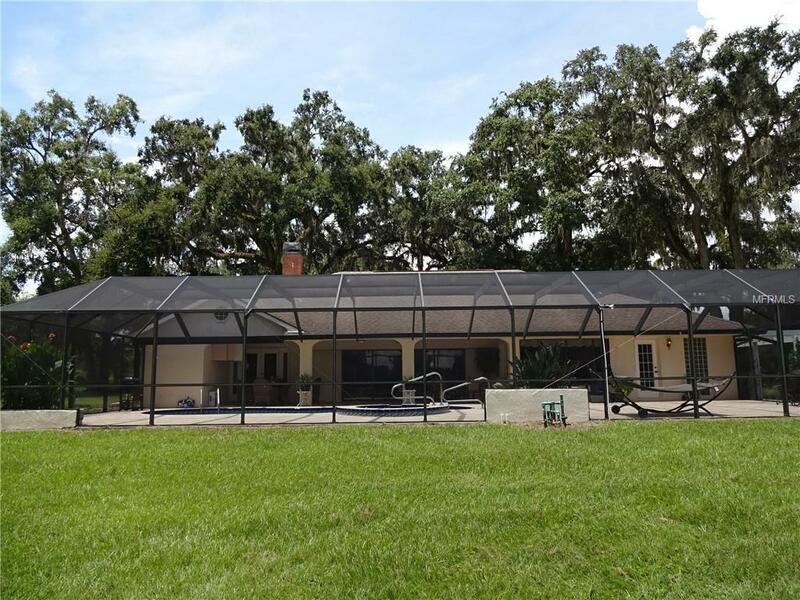 ALSO this property has 3 INCOME PRODUCING UNITS, a very nice 3/2 refurbished MOBILE HOME with large screened in porch, and 2 ADDITIONAL LARGE APARTMENTS fully furnished in the front of the beautiful BARN... complete with newer 2 story patio and wooden deck off the apartments. The barn has 7 horse stalls. Also, there is a SEPARATE 4+car garage with nice game room, bath and screened porch for entertaining at the rear of the garage! And if that wasn't enough, there is a MULTI PURPOSE 2880 sq.ft. metal Quonset Hut with concrete flooring next to the barn...complete with electricity. Owners currently have cows in the pastures. 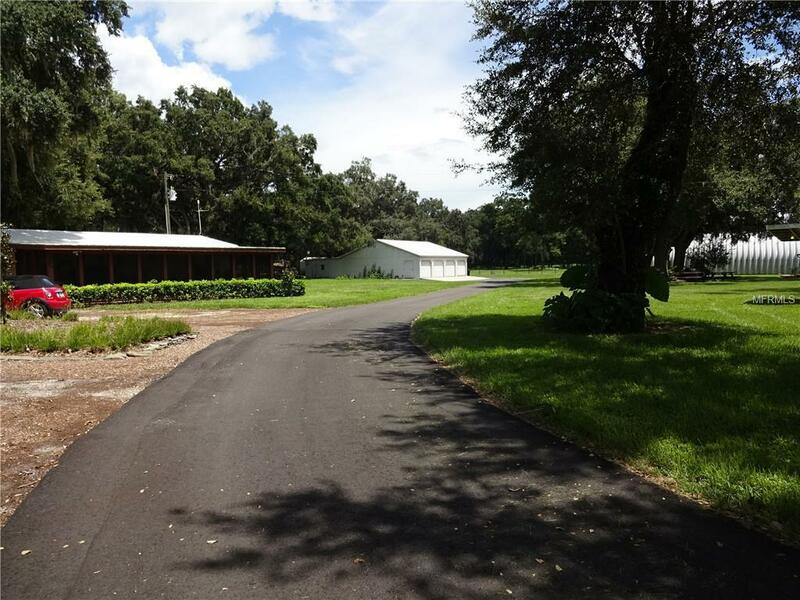 This ideal property of 29.25 acres can house many animals along with the INCOME PRODUCTION FROM THE 2 APARTMENTS AND MOBILE HOME. 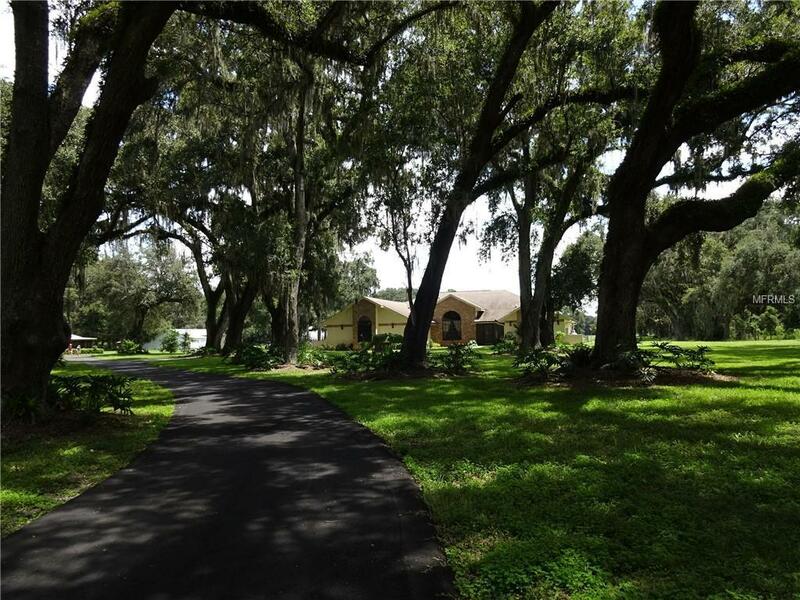 The long driveway from the gated entrance to the property has just had a new asphalt layer and there is also a nice utility shed on the property. 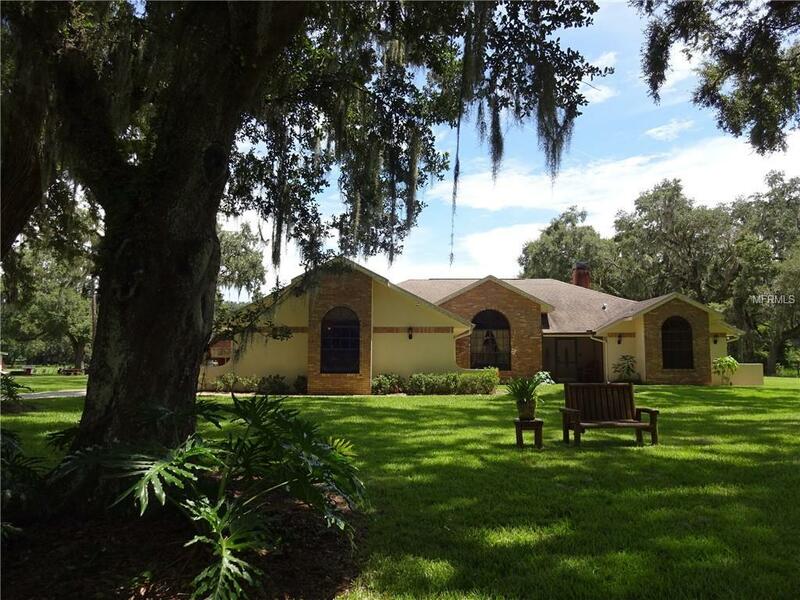 This property has wide open wooded pastures, beautiful buildings and has been LOVINGLY AND METICULOUSLY MAINTAINED. You will want to see all this and definitely consider all the income potential of this beautiful property!! !